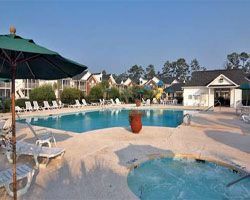 The resort is situated just south of Myrtle Beach on the world-famous Wachesaw East Golf Course, home of the PGA Myrtle Beach Golf Classic. It is moments from the beautiful beaches of the Atlantic Ocean, where you'll enjoy all types of water activities from sailing to deep-sea fishing. 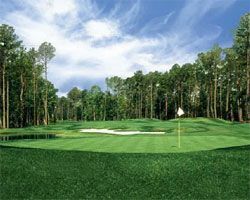 The area has many quality tennis facilities, as well as nearly 100 championship golf courses. 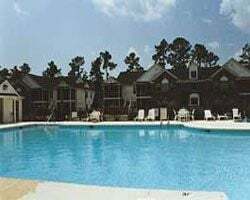 Other attractions include historic Georgetown, Brookgreen Gardens, Broadway at the Beach, Fantasy Harbour, Barefoot Landing, and many music theaters that feature shows for every member of the family. 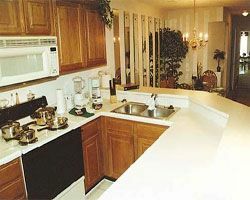 Amenities include pool, in unit kitchens, spa and hot tubs, laundry facilities, and golf!